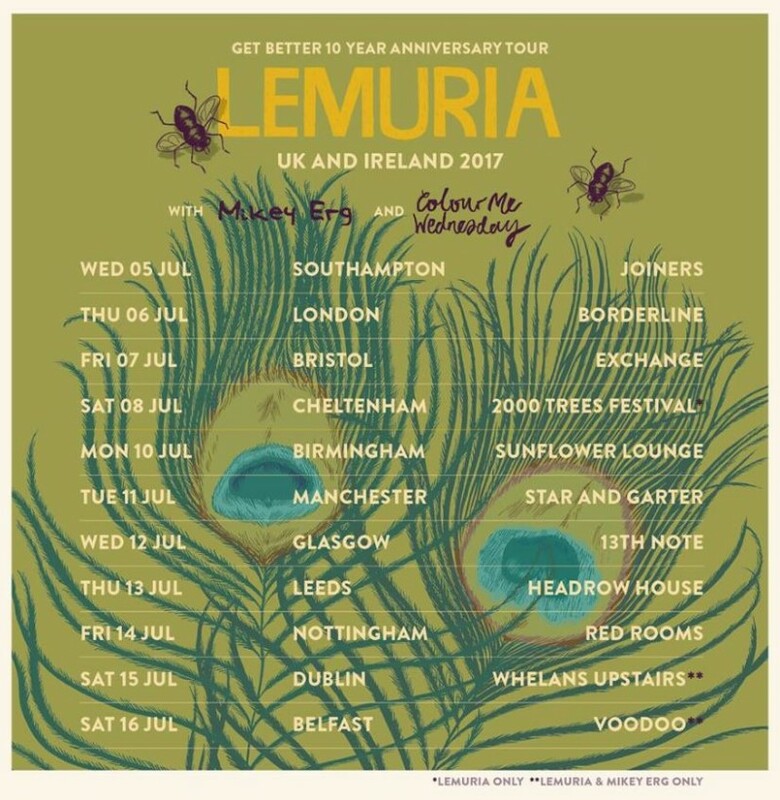 Banquet Records have announced a 10th anniversary edition of Lemuria’s Get Better album to co-incide with a series of UK and Irish dates. The 300 copy black vinyl LP comes in a UK-exclusive-colour gatefold sleeve with spot silver print, featuring an essay from the band’s Alex Kerns, a 7″ in its own full colour sleeve – which includes two bonus tracks from the Get Better sessions – and a poster. Lemuria will be supported on the July dates by Mikey Erg and Colour Me Wednesday.